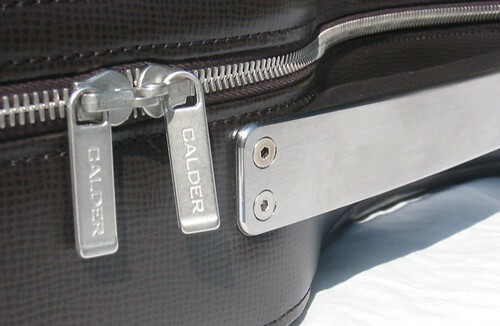 The last few months we've been finalising designs for the launch range of Calder cases. The designs for guitar cases are all very similar to the electric guitar case we've shown in the last few posts. The violin case is different - a simple rectangle with the handle the same as on the guitar cases. The laptop case is a slim rectangle - also with a handle like that on the guitar cases. 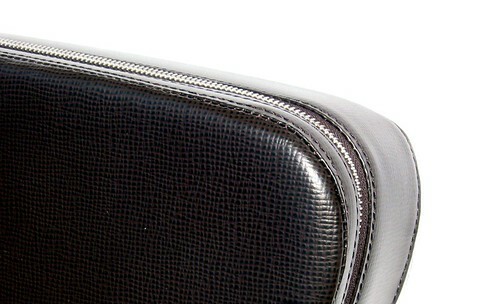 All our cases will be made with a carbon fiber shell covered with leather and lined with silk velvet. At this stage we are releasing only a few images so as to maximise the impact of the launch. Here are two close ups of a pre-production model of the electric guitar case.